Mother Teresa once said, "Give and give until it hurts". 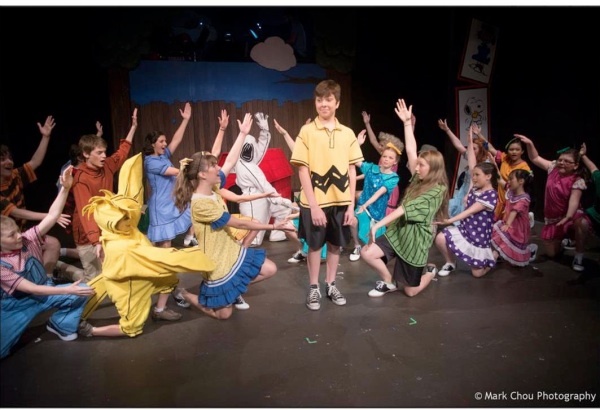 St. Francis Food Pantries and Shelters treated over 120 children and their parents to see a production of "You're a Good Man, Charlie Brown" presented by the Christian Youth Theatre. The show was performed in the 777 Theatre in Midtown Manhattan. 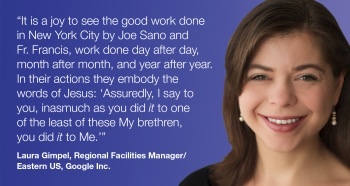 Laura Gimpel of Google, a Volunteer Coordinator with CYT, helped organize our visit to the play. Summer Family Barbeques were held at several of the food pantries we help support. Over 500 needy families attended the two parties we supported in the Bronx and in New Rochelle. The guests enjoyed great food and summer fun together. Volunteers and staff prepared and grilled the meals, and games were played by children and adults alike celebrating together. Con Edison held a "School Supplies" Drive for St. Francis Food Pantries and Shelters. Their employees generously donated much needed school supplies to help the needy students in our network begin the school year well prepared and in style. Two "Peanut Butter and Jelly Sandwich Making Days" were sponsored by MetLife to help our clients. Mavel Jones and her two teams of over 50 volunteers worked together to make over 5,000 sandwiches on the two days for our "Brown Bag Lunch" program. Our "Stocking the Shelves" program continued to allow us to deliver hundreds of cases of food to the food pantries, soup kitchens and shelters we help support. These locations are provided with lists of items to choose from - which gives them the ability to meet the needs of the clients coming to them for help. Clothing, home goods, toys and baby items provided by Ross Stores were sent to many of the locations in our network. The families receiving these donations were very grateful for the kindness this company gives to St. Francis Food Pantries and Shelters. The Suzie Reizod Foundation donated over 100 pairs of new sneakers and dress shoes to help the men, women and children in our network. Cynthia Dozier, President of the Foundation provides these shoes as part of their mission to improve the lives of the less fortunate. We are so thankful for the esprit d e corps of our volunteers and donors. Without these kind generous folks our clients would not have the sustenance, clothing and most importantly, support that our partners provide.